Kermit & Vincent Price. 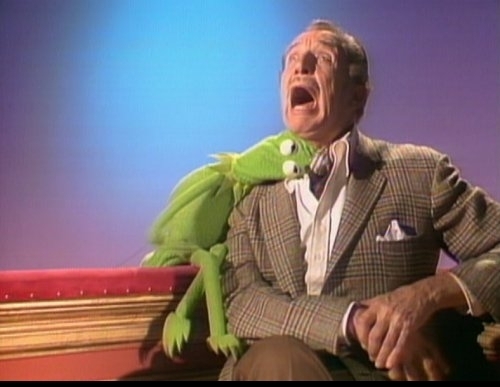 from an episode of The Muppet tampil - Kermit takes a bite out of Vincent Price. Wallpaper and background images in the The Muppets club tagged: muppet show muppets kermit tv vincent price jim henson. This The Muppets photo might contain setelan jas untuk bekerja and setelan bisnis.